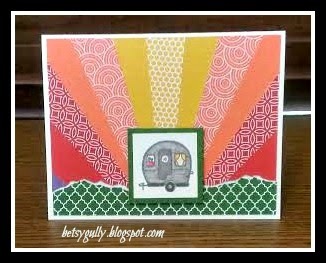 My husband and I are looking at travel trailers and we have traveled a bit to check some out. These are the cards we are sending out to thank those people who have so generously shared a tour of their campers with us. The papers are Close to my Heart Paper Fundamentals, Adventure Assortment. I love these bright colors and trendy patterns. 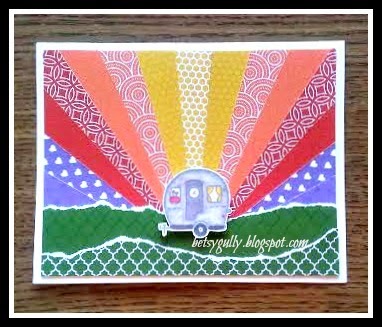 The cute little trailer is from the Camper Crazy stamp set, colored in with our ShinHan Touch Twin markers. And these cards were made for a swap using The Pathfinding paper pack. 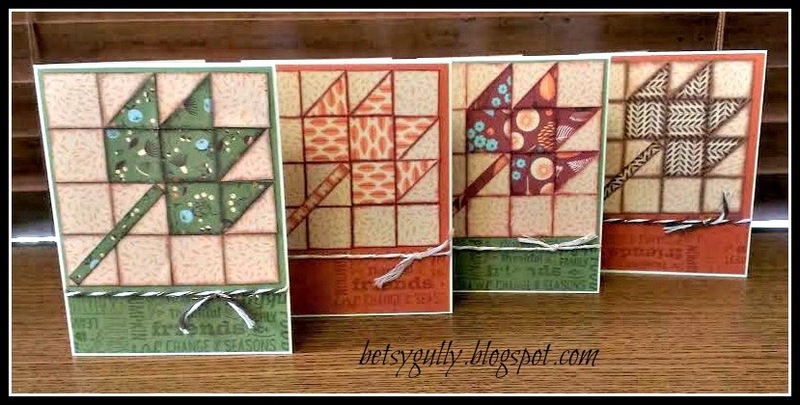 The cards feature lots of pretty contrast from the beautiful autumn colors of the papers. 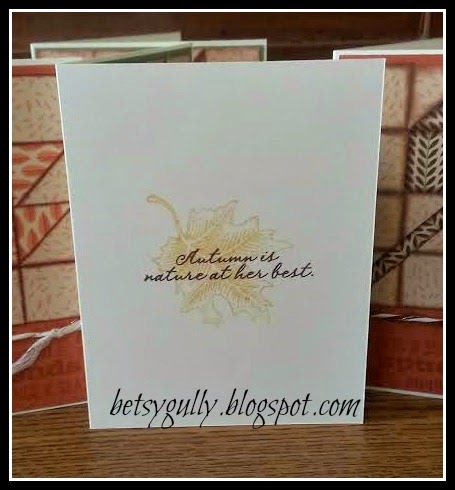 Inside was stamped using Canary, Goldrush and Barn Red. The stamp set used is Fall Harvest.